Dr Paul Docherty is helping people to make more informed decisions about their investments. While stock markets are often associated with greed, Dr Paul Docherty’s research on Australian financial markets is for the greater good. Aware of the fiscal challenges and opportunities presented by our country’s ageing population, the value of his research is in maximising the chance that people are able to retire financially independent. “Increased life expectancies mean that future generations will have longer periods across which they need to drawdown on the wealth accumulated across their working life,” he explains. Our wellbeing during old age is currently dependent upon how our superannuation investments perform over the course of many decades. Paul’s quantitative pursuits are also motivated, in large part, by the global financial crisis (GFC) of 2008. “The GFC was an economic event that had a significant social impact on almost a whole generation,” he recalls. 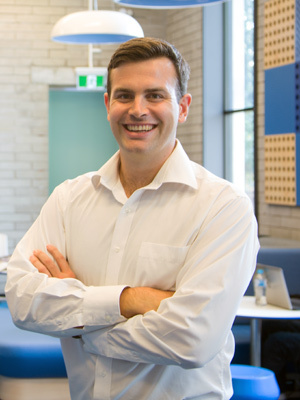 Paul’s research career began in 2008, when he commenced a PhD at the University of Newcastle (UON). Focused on accounting and finance, the three-year probe compared different ways of pricing stocks in the Australian equity market. “These efforts culminated in the identification of several factors that can explain variations in the stock returns of Australian companies,” he shares. “I don’t just want to publish things that sit on dusty book shelves,” he elaborates. Paul stayed at UON after receiving his award in 2011, and is now a Senior Lecturer within its Business School. The born and bred Novocastrian is now exploring a second area of study – corporate governance. “This is in light of the fact that there have been a number of high-profile collapses in Australia over the past decade, such as with One-Tel and HIH Insurance,” he comments. In the process of compiling a broad database that can be used to develop “early warning signals,” Paul is hoping to help investors and the broader corporate community to be more proactive about making structural improvements. This project has already attracted the attention of the funds management industry, and is being financially supported by Platypus Asset Management. “I’m wanting to identify the characteristics that will ensure Boards of Directors are appropriate guardians of companies for the shareholders,” he states. When asked about any gaps that need filling in his research area, Paul is quick to answer. “Financial markets are things that people tend to idly talk about at barbeques and other informal social gatherings,” he explains. Wholeheartedly believing that a firm understanding of the “basic principles” of stock markets, such as what drives their returns and why their prices fluctuate, will lead to smarter decision making about personal finances, Paul is looking to educate the public on the ins and outs of investing for retirement. “Different people will have different needs and preferences in this regard,” he suggests. 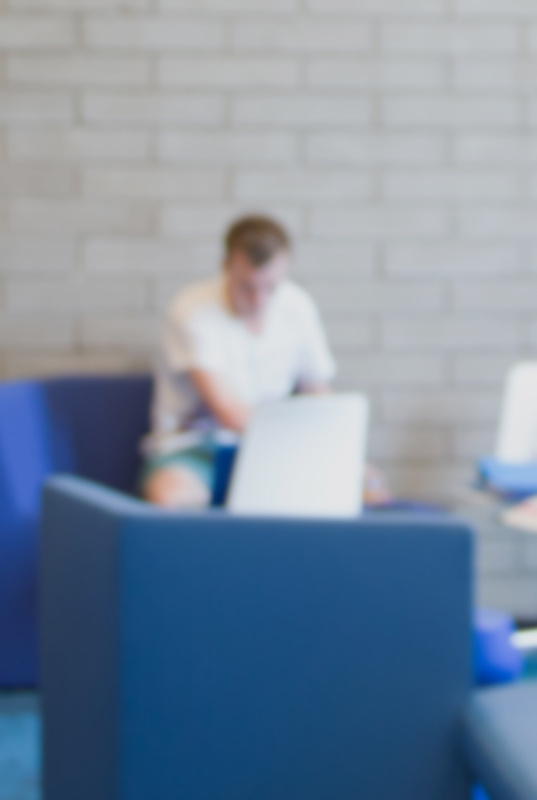 Interested in a PhD in Accounting & Finance? Paul has been a faculty member since 2007 and he completed his PhD in finance in 2011. Paul's research interests lie in empirical finance and capital markets, focusing primarily on asset pricing. His research has been published in journals including Accounting and Finance, Applied Economics and The Australian Journal of Management. He is the chief investigator for a large external grant that was awarded by Platypus Asset Management in 2011 and continues to work collaboratively with professionals in the funds management industry. 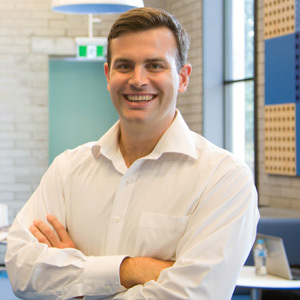 Paul collaborates extensively with academics from The University of Melbourne, having co-authored several papers with Associate Professor Howard Chan. He is also undertaking ongoing research collaboration with an industry partner; Platypus Asset Management. Copyright © 2018 Michael G. Foster School of Business, University of Washington. Myopic investors focus on short-run price changes rather than long-term fundamental value, resulting in an overweighting of public information and a slow diffusion of fundamental news. Such processing of information can produce price drifts similar to those seen in behavioral models of momentum. We explore the impact of myopia over an international sample, finding that momentum is stronger in more myopic countries, and this relationship is magnified where the proportion of funds under delegated management is high. We therefore argue that investor myopia, which arises due to agency issues in delegated funds management, is an important determinant of momentum. © 2016 The momentum premium is pervasive across international markets and different asset classes; however, the drivers of this premium are yet to be established. This paper contributes to the literature by examining the association between a leading economic indicator, namely return dispersion, and the momentum premium. This association is examined across four regional momentum strategies and a global momentum strategy. We document a strong association between return dispersion and the momentum premium using both ex-post and ex-ante empirical methods. This association is robust to the inclusion of a set of control variables and an alternate specification of return dispersion. We test a conditional momentum strategy that scales the unconditional momentum strategy by the level of return dispersion and find that the conditional momentum strategy outperforms the unconditional momentum strategy in all regions. The results presented in this paper document the dynamic association between risk and the momentum premium. © 2015 Institutional Investor LLC. All Rights Reserved. This article examines the influence of liquidity risk on the U.S. secondary corporate loan market (herein loan market). The authors empirically disentangle the impact of both loan-level liquidity shocks and systematic liquidity risk from default risk. Loans that experience shocks to either liquidity or default risk experience ongoing price declines, complementing evidence presented elsewhere of price momentum in loan markets. The prices of loans with high liquidity risk are significantly discounted when market liquidity is low, consistent with the time-varying funding liquidity constraints of financial intermediaries. In keeping with a close link between high risk debt markets and equity markets, there is evidence that equity market risk is priced in the loan market. © 2016 Elsevier Inc. Owing to the discrete disclosure practices of the Reserve Bank of Australia, this paper provides new evidence on the channels of monetary policy triggered by central bank actions (monetary policy announcements) and statements (explanatory minutes releases), in the Australian equity market. Both monetary policy announcements and explanatory minutes releases are shown to have a significant and comparable impact on the returns and volatility of the Australian equity market. Further, distinct from US and European studies that find strong evidence of the interest rate, bank loan and balance sheet channels and no evidence of the exchange rate channel following central bank actions, this paper finds that monetary policy impacts the Australian equity market via the exchange rate, interest rate and bank loan channels of monetary policy, with only weak evidence of the balance sheet channel of monetary policy. These channels are found to be operating irrespective of the trigger (monetary policy announcements or explanatory minutes releases), though results are somewhat weaker when examining the explanatory minutes releases. These results have important implications for central bank officials and financial market participants alike: by confirming a comparable avenue to affect monetary policy; and providing an explication of its impact on the Australian equity market. © 2015 Taylor & Francis. The Melbourne Cup is a major horse racing event that is colloquially known as the ¿race that stops the nation¿ in Australia. We use constituent stock intraday volume data on the Australian Securities Exchange S&P/ASX 200 equity index from 2003 to 2013 within a regression framework to examine whether this major horse race reduces investor attention. Results show that trading volume on the Australian equity market is significantly reduced during and immediately surrounding the running of the Melbourne Cup, supporting the claim that this is the ¿race that stops the equity market¿. Unlike acquiring company shareholders in Australian takeovers, but like shareholders in government initial public offerings, shareholders of companies purchasing Australian government assets earn economically and statistically significant positive abnormal returns. However, unlike privatisations via initial public offerings where all citizens are entitled to subscribe for shares, in privatisations via asset sales only acquiring company shareholders benefit from any under-pricing. This suggests the need for greater scrutiny to ensure fair pricing in privatisation via asset sales. © The Author(s) 2013. Unlike US and Continental European jurisdictions, Australian monetary policy announcements are not followed promptly by projections materials or comprehensive summaries that explain the decision process. This information is disclosed 2. weeks later when the explanatory minutes of the Reserve Bank board meeting are released. This paper is the first study to exploit the features of the Australian monetary policy environment in order to examine the differential impact of monetary policy announcements and explanatory statements on the Australian interest rate futures market.We find that both monetary policy announcements and explanatory minutes releases have a significant impact on the implied yield and volatility of Australian interest rate futures contracts. When the differential impact of these announcements is examined using the full sample, no statistically significant difference is found. However, when the sample is partitioned based on stable periods and the Global Financial Crisis, a differential impact is evident. Further, contrary to the findings of Kim and Nguyen (2008), Lu et al. (2009), and Smales (2012a), the response along the yield curve, is found to be indifferent between the short and medium terms. © 2014 Elsevier B.V.